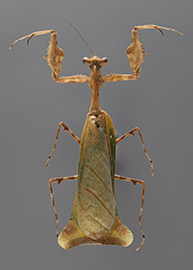 This database provides photographic images of mantid specimens from research collections all over the world. It includes many type and non-type specimens found in museum collections, and specimens collected in field work on six continents over the past 18 years. Most are represented with dorsal and ventral views, as well as pin labels. 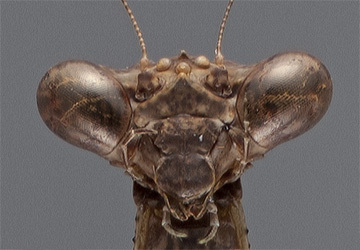 The images (currently >4000) are zoomable, and show incredible detail due to focus-stacking macrophotography. You can select specimens by means of the various menu options--such as by taxon, type, or repository. You can also use the search menu to find individual or groups of specimens. And check out the new Dorsal Browser! The database is being constantly expanded as additional specimens, both type and non-type, are imaged. Live habitus images taken during field expeditions are also being added.